I am super excited today as I will be reviewing New Infallible Paint range from L’oreal. 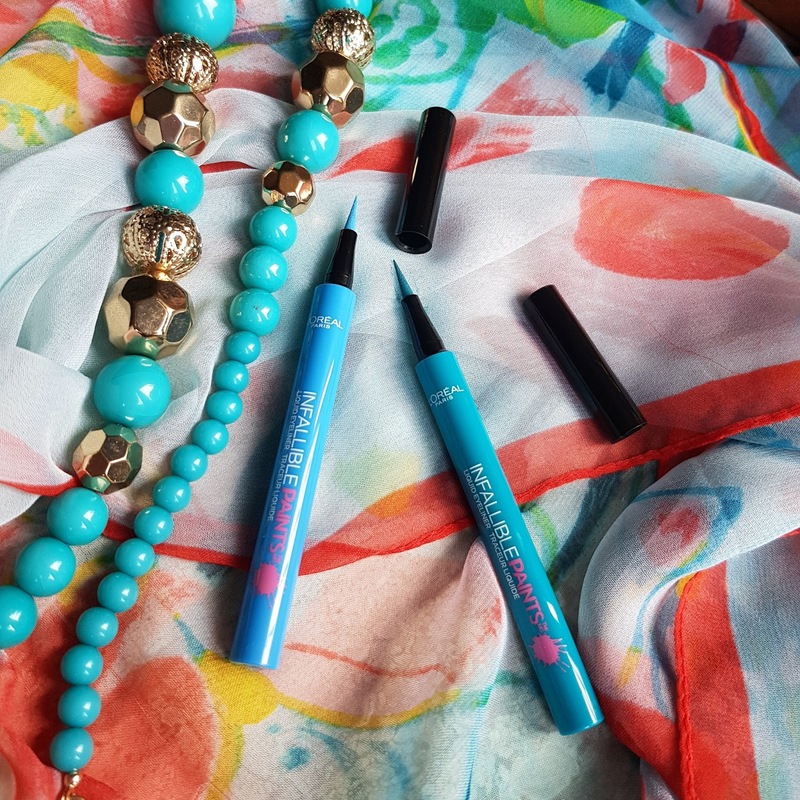 So there are three products from this range which I am going to talk about firstly INFALLIBLE EYE LINER PAINT secondly INFALLIBLE EYESHADOW PAINT and lastly INFALLIBLE BLUSH PAINT. 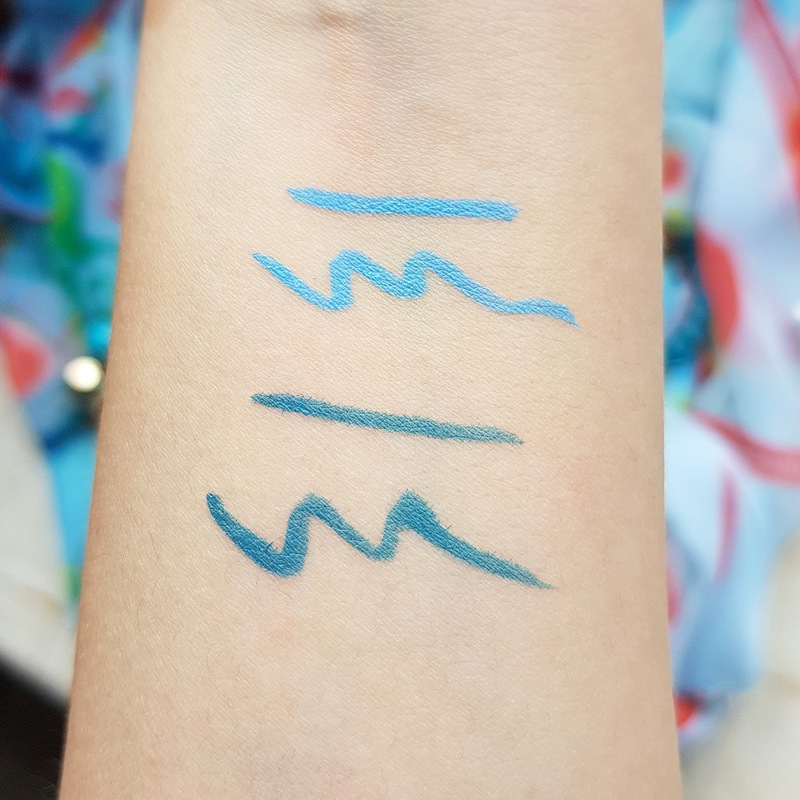 I picked up two shades VIVID AQUA & INTREPID TEAL from infallible eyeliner range. 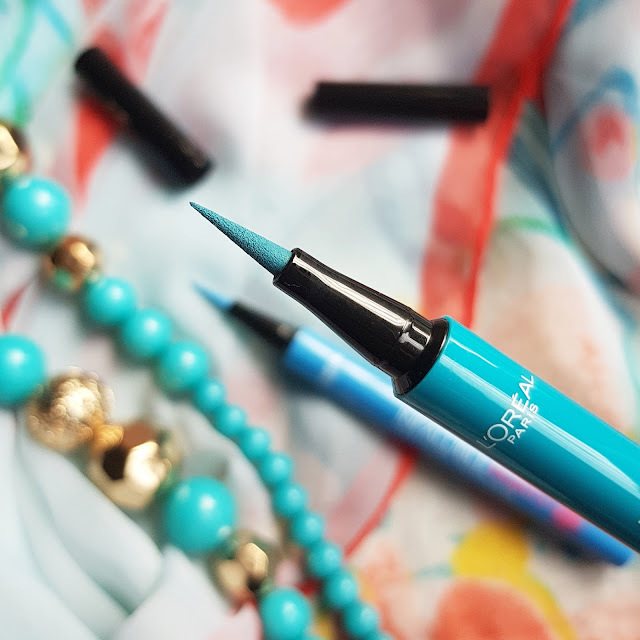 I will start with the liner its a perfect felt tip liquid liner to create a cat eye or bold lines. It has the most precise tip to create crisp lines. 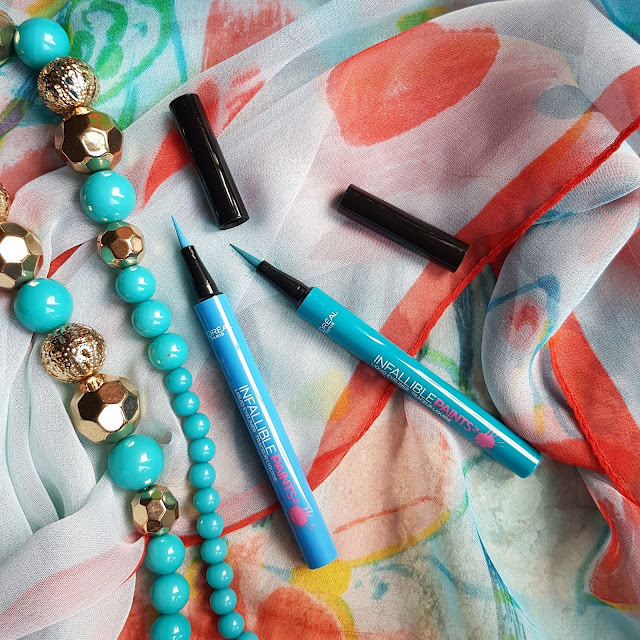 These liners lasts longer than you think. It doesn’t fade or crack. It’s a waterproof and sweat proof liner even if you have oily lids its going to last long. It doesn’t smudge around. I loved the color options and its has enough pigmentation. You don't need multiple swipes as it has a good color pay off. 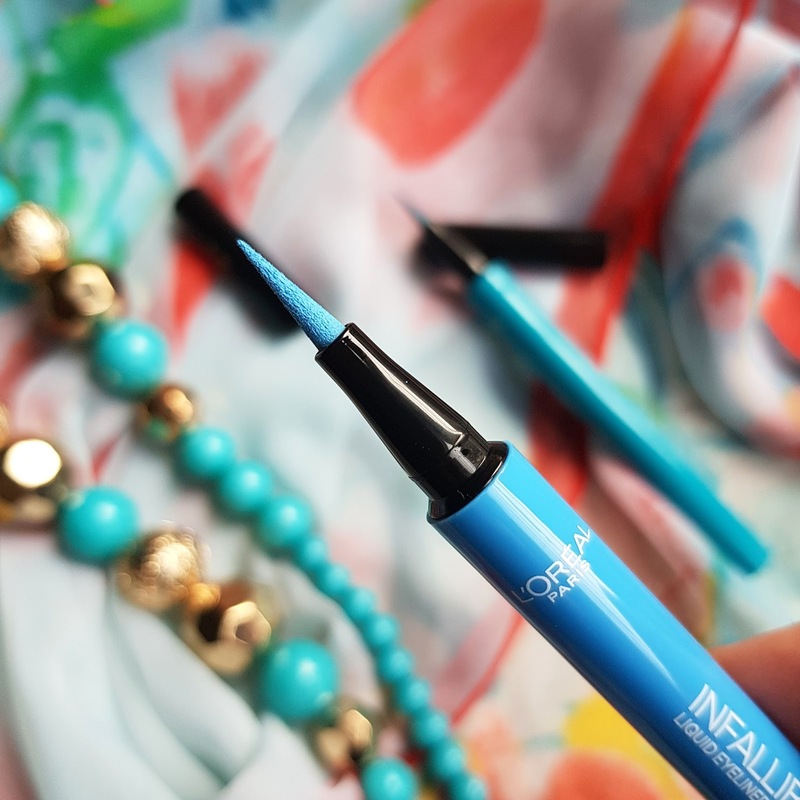 This felt tip gives a reall good control over application. VIVID AQUA Its a bright aqua blue color perfect for summer holidays on island. 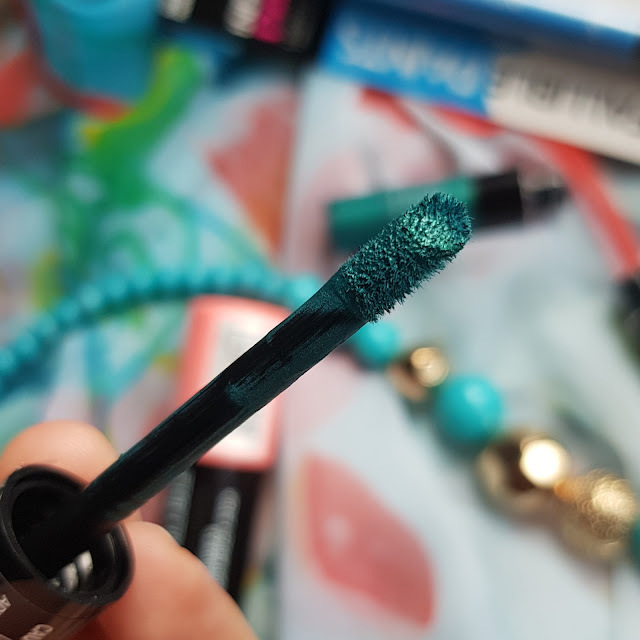 INTREPID TEAL Its a greenish blue color suitable on various skin tone. 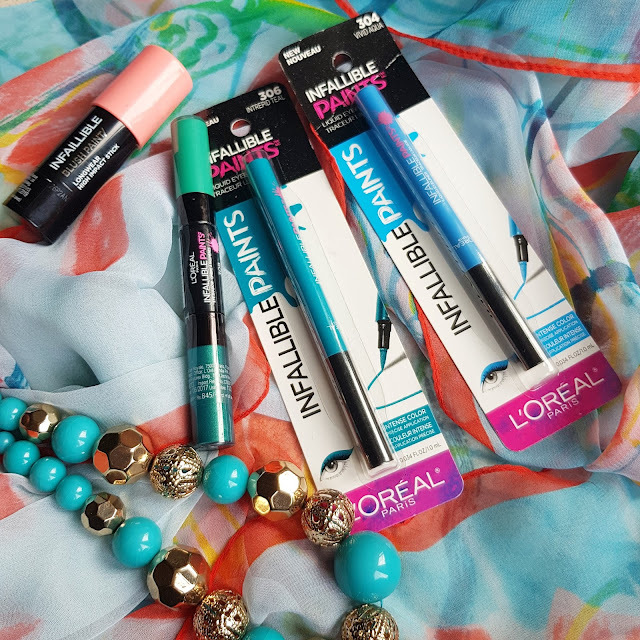 Paint it loud with L'Oreal's Infallible Paints Eyeliner, 0.1mm felt tip for liquid liner precision. Define and design eyes with total control using one or multiple colors. 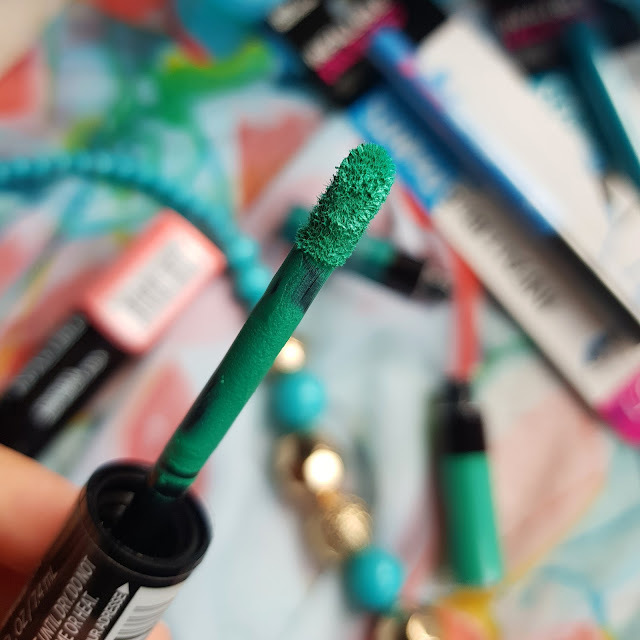 LOREAL INFALLIBLE PAINT EYESHAODW in MINT DETOX. It’s a new double ended cream eyeshadows stick. There are many shades available where you can create Smokey eyes or just add pop of color. This eyeshadows are for creating quick look. They are easy to use and come with a doe foot applicator. I always thought cream eyeshadows are difficult to use as you have to blend them in and it can get messy if not done properly. But this eyeshadows are really smooth and having soft texture makes blending easy. Once it sets in its difficult to move them. It doesn’t crease or crack the formula stays well for 8-9 hrs. Both the shades are complimentary to each other. 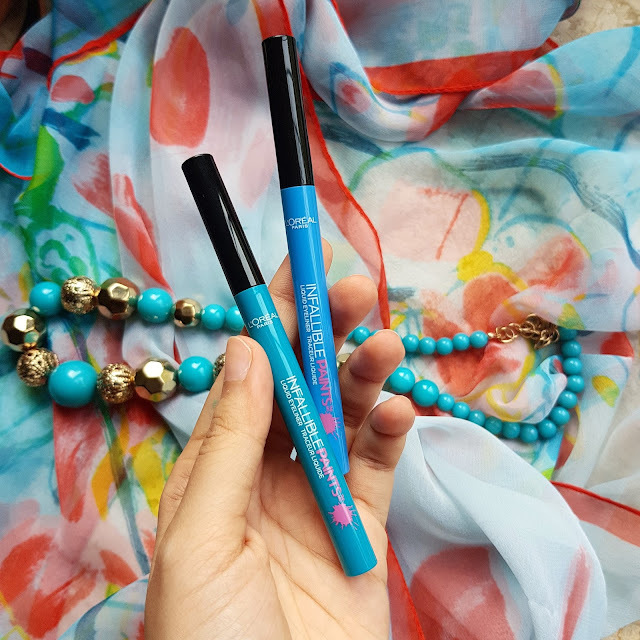 LOREAL claims High impact color with all day wear which is found to be true. The colors are really pigmented and have high color pay off. 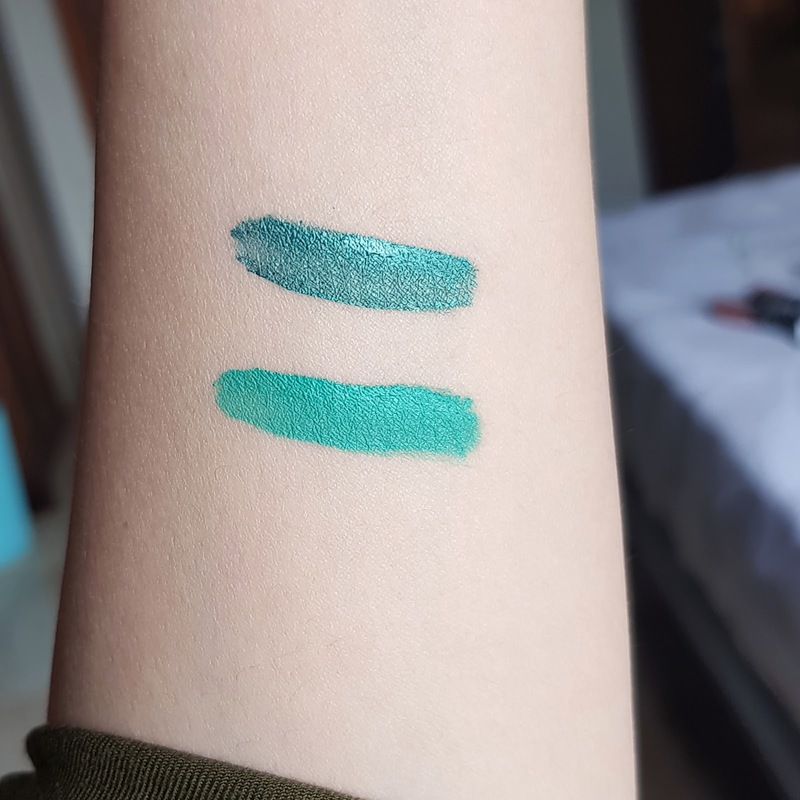 One of the shades is metallic finish having shimmer and sparkles while other is subtle giving a satin finish. You can build the color for getting opacity. For application you will have to wait for the first color to set in before applying second shade. Now here you can't create a perfect cut crease look or something as you do with powder eyeshadows because creamy eyeshadows can give you uneven or patchy look. I would recommend to use one color at a time on your lids or just adding both colors one after the other. The darker shade can get little patch so blend it with a finger to give a smooth even application. Even those who have oily lids this eyeshadows will not fade and stay for 10hrs. 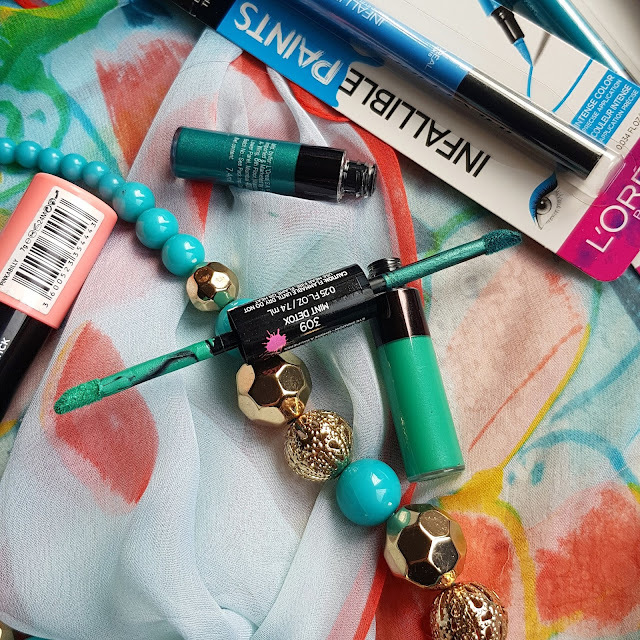 MINT DETOX is a beautiful mint green on one side which has satin to matte finish with no shimmer. And other side has darker green shade almost like metallic having shimmer. 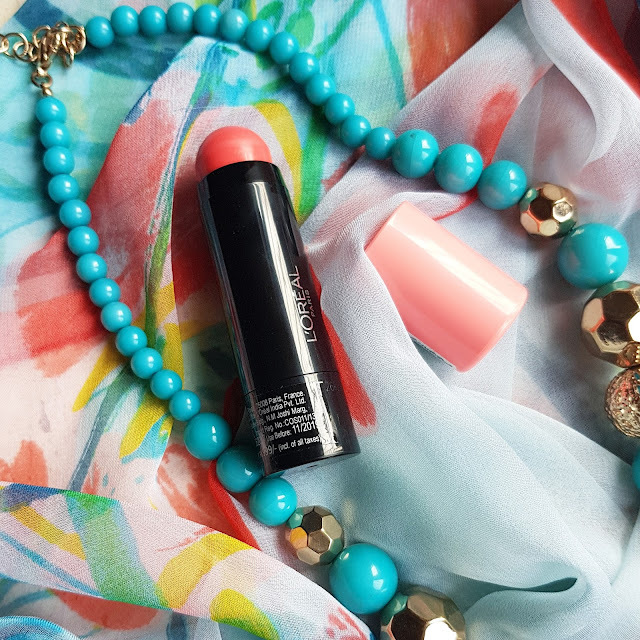 It’s a cream blush in a chubby stick which are really easy to use and give a quick application. 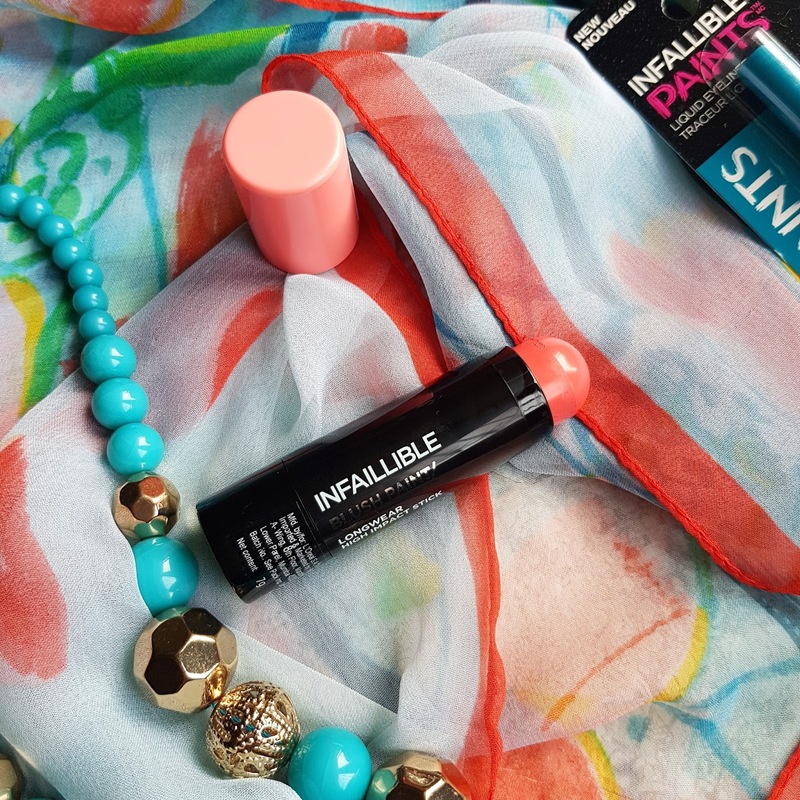 There are 3 shades available in this range I choose Pinkabilly shade which is more like a coral pink blush. Cream blush are best for dry skin but this one can be used by combination to oily skin too. I apply directly from the stick as it has a rounded end it easy to stroke on cheeks and blend them with fingers. If you want a cream blush to stay for long you can apply loose powder over your face after the blush application. The texture of the blush is cream to powder which makes it good for oily skin too. These blushes are highly pigmented so you need to apply it with light hand. They are bold enough to give you statement pop of color. 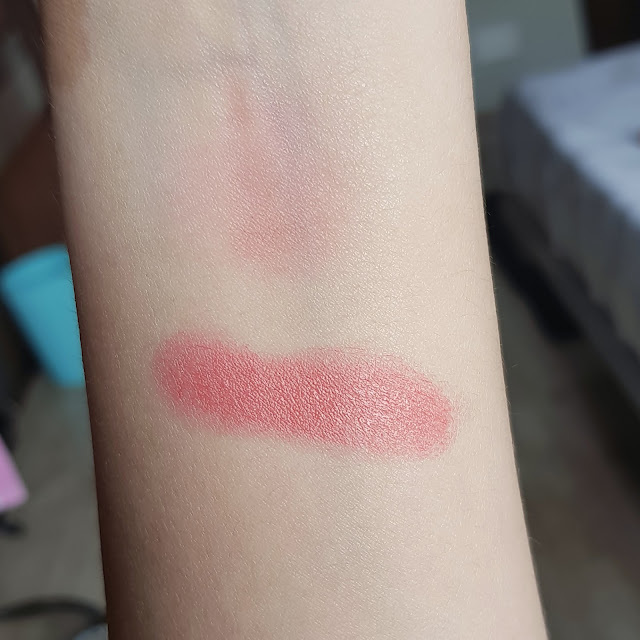 It gives me peach pink flush which is perfect for summer and spring. This shade is suitable for most of the skin tones. They last for a complete day on my cheeks. Paint it loud. Ultra bold. Ultra daring. Our 1st super saturated, high impact blush paints. Achieve a natural flush, statement pop of color or sculpted cheekbone in just one stroke with our effortless, cream to powder chubby blush paint.